Cardiff, 11 July 2014: The British Academy of Film and Television Arts (BAFTA) in Wales, BAFTA Cymru, has announced Ludus by Cube Interactive/Boom Kids as the winner of this year’s British Academy Cymru Award for Games & Interactive Experience, supported by Glyndŵr University. 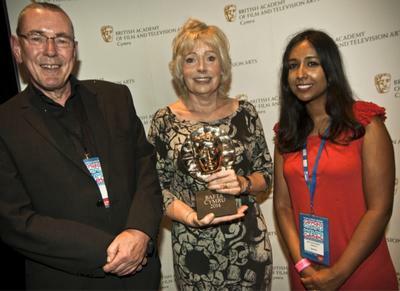 In a ceremony hosted by BAFTA Cymru on Friday 11 July at the Wales Millennium Centre, Cardiff, as part of the Wales Games Development Show and Digital Innovation Week Wales, the Award and three commendations were presented by BAFTA Breakthrough Brit Mitu Khandaker-Kokoris. Mitu is a game designer, programmer and founder of one-woman indie studio, The Tiniest Shark. Mitu was also named one of Develop magazine’s Top 30 Under 30 upcoming developers in 2012.